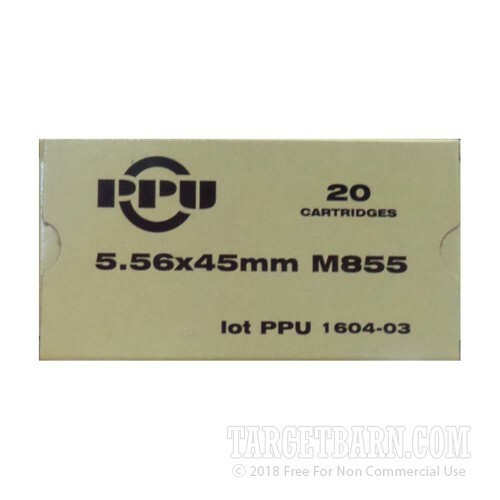 This 5.56 NATO ammunition from Prvi Partizan is made to M855 NATO specification and delivers accurate, reliable performance on the range in AR-15s and other .223/5.56 rifles. 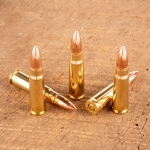 This 1,000 round case is a great way to get some bulk savings on this ever-popular caliber. 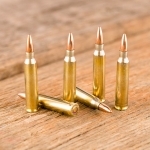 Each cartridge in this case fires a heavy 62-grain full metal jacket bullet at 3,050 feet per second, with some variation in muzzle velocity depending on the rifle's barrel length. 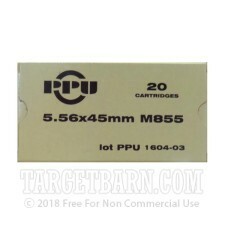 This ammo can be used alongside M855/XM855 ammo from other manufacturers with little or no adjustment to your optics. 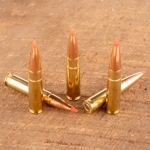 Prvi Partizan is a Serbian manufacturer based in Uzice. 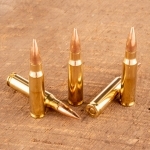 Their products use quality components including non-corrosive Boxer primers and brass cases.